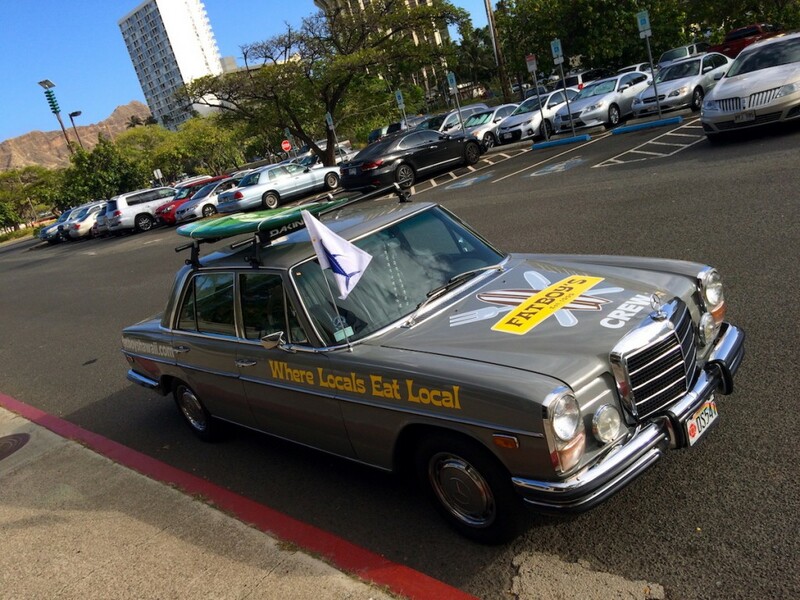 Fatboy’s Boyrger Benz Makes Its Debut in Haleiwa! Beginning May 2016, be on the lookout for the Fatboy’s Boyrger Benz! It will be showing up at a Fatboy’s location near you, letting everyone know that Fatboy’s Haleiwa is getting ready to open. 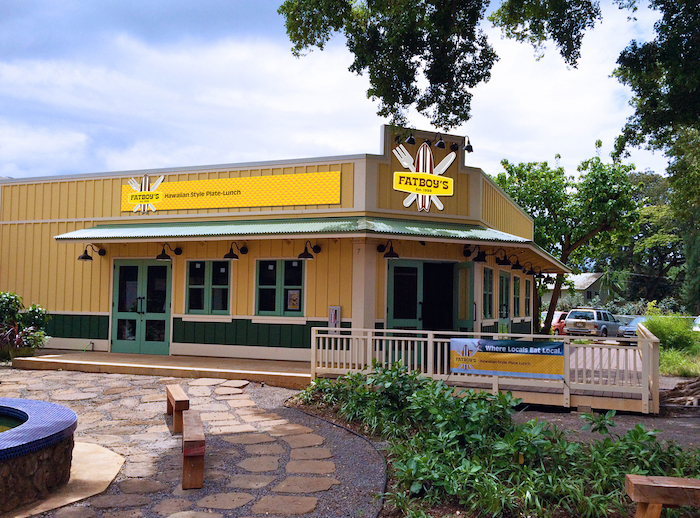 This all new Fatboy’s – right in the center of historic old Haleiwa Town – will feature all your Plate-Lunch favorites, like Garlic Chicken and Teriyaki Beef. Plus some fresh new takes on Hawaiian Style cooking with Fatboy’s exclusive Ali‘i Fried Rice and Hawaiian Surf & Turf. And there’s plenny inside and outside seating for everyone! Choke plate lunches always available at all our Fatboy’s Hawaiian Style Plate-Lunch Locations! And don’t forget our Golf Course Bistro featuring LIVE LOCAL MUSIC! Just last week, Fatboy’s Hawaiian Style Plate-Lunch in Waipio underwent some great new upgrades! The first thing everyone will notice is the bright, new, easy-to-read digital menu boards. Along with the menu boards comes some comfy seating and booths where you can enjoy your grindz. Additionally, newly updated Take-Out Menus are now available at the counter. If you don’t see um, just ask! There’s also a large flat screen TV on the wall so you can cheer on your favorites from UH and check out the surf contests up country too! Stay tuned for more improvements at Waipio – and at all our Fatboy’s locations! Coming soon to Haleiwa, right near Matsumoto Shave Ice at the wonderful Haleiwa Store Lots. Fast Casual Dining or what we call “Eat-in Takeout”. The unique menu will have a few of Hawaii’s most favorite plate-lunch items, including several local fresh fish choices – done in 4 ways. Plus, menu items showcasing local products mostly from right in the North Shore and Oahu area! Serving Breakfast, Lunch, Dinner, and Cocktails. 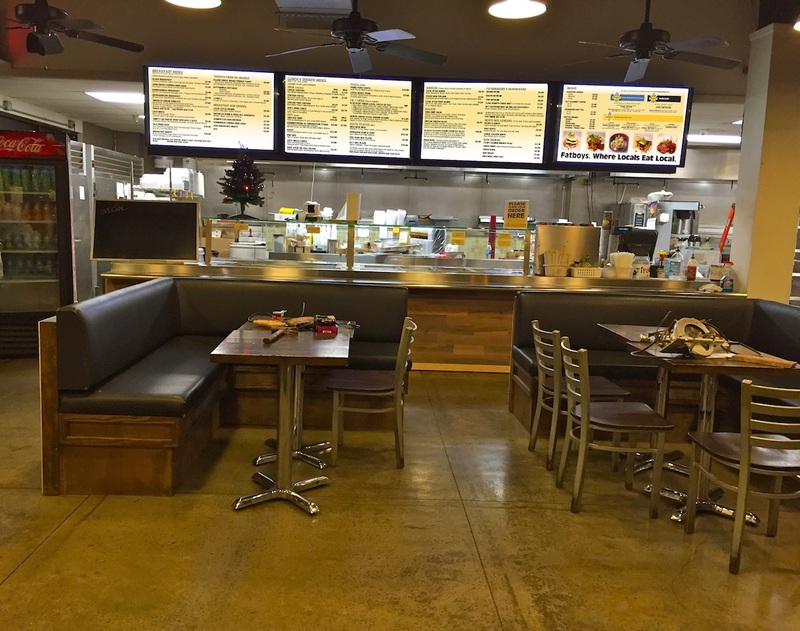 You can call in your order and have it ready for pick up, or enjoy our modern urban decor and large outdoor patio. Be sure to check the “Catch Flag” flying outside to see what local fish is the feature of the day!